Let's talk about food for a moment! 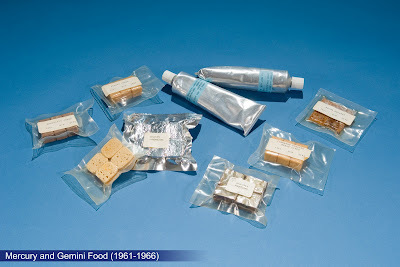 No, not what I usually eat, but about Space Food! 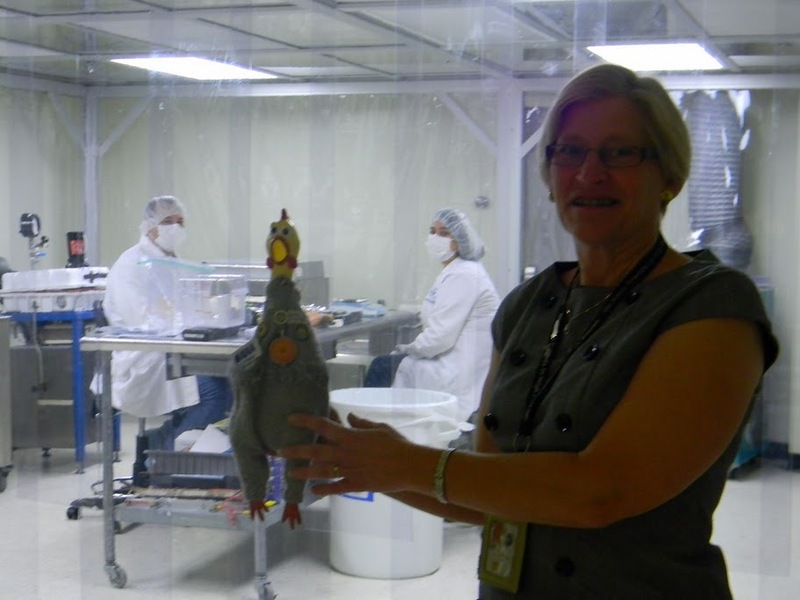 For that I visited the Space Food Systems Laboratory, which is located in Building 17 at Johnson Space Center and is comprised of four laboratories: a Test Kitchen, fully equipped with sensory testing capabilities; a Food Processing Laboratory (Pilot Plant); a Food Packaging Laboratory; and an Analytical Laboratory. 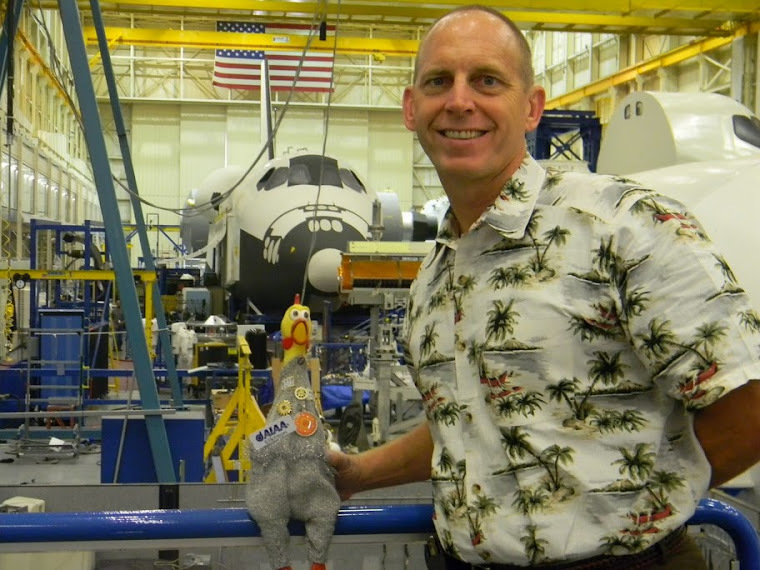 Here I am visiting the Space Food Systems Laboratory. No! 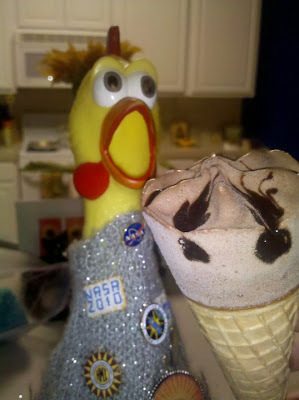 I am not part of the food chain! 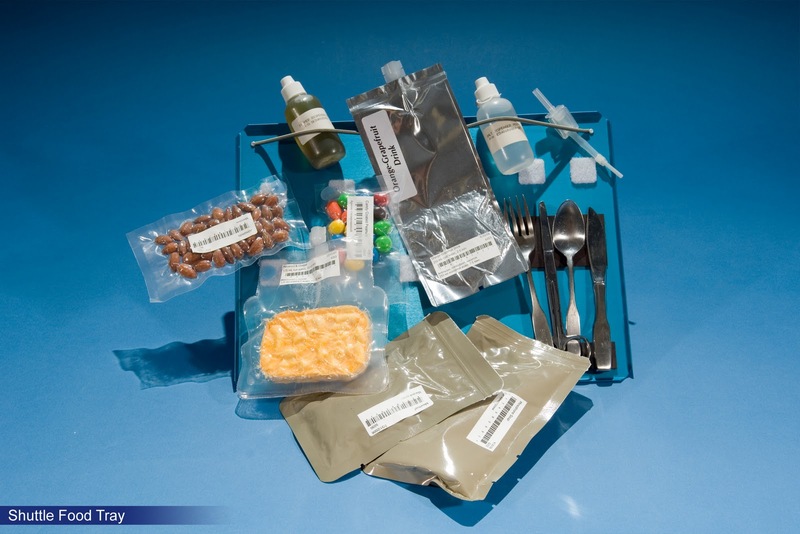 The Space Food Systems Laboratory has the capability to fabricate custom-molded flight food containers; process foods using a variety of stabilization techniques, including freezing and freeze-drying; package foods in a nitrogen environment for long-term storage; provide long-term controlled environment storage for processed foods; conduct physical and sensory analyses of food; evaluate prototype and flight food preparation hardware; and, develop food preparation and serving techniques for space flight. 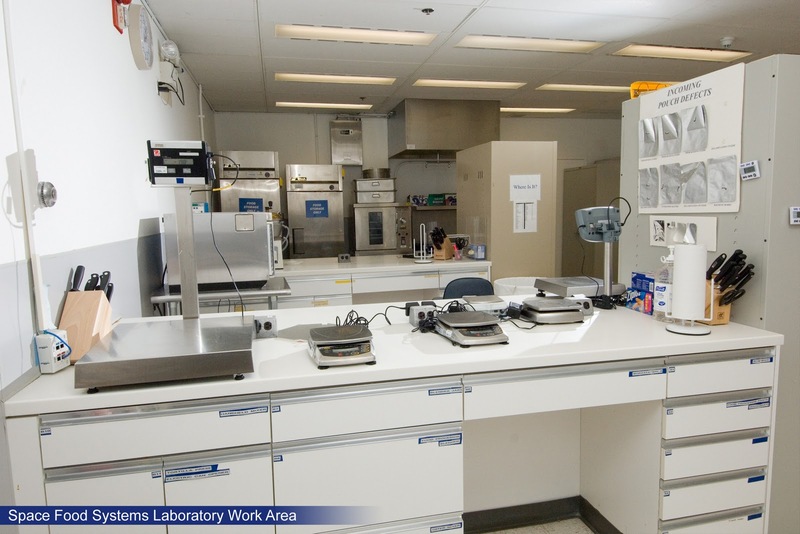 The Space Food Systems Laboratory is a multipurpose laboratory responsible for space food and package research and development. 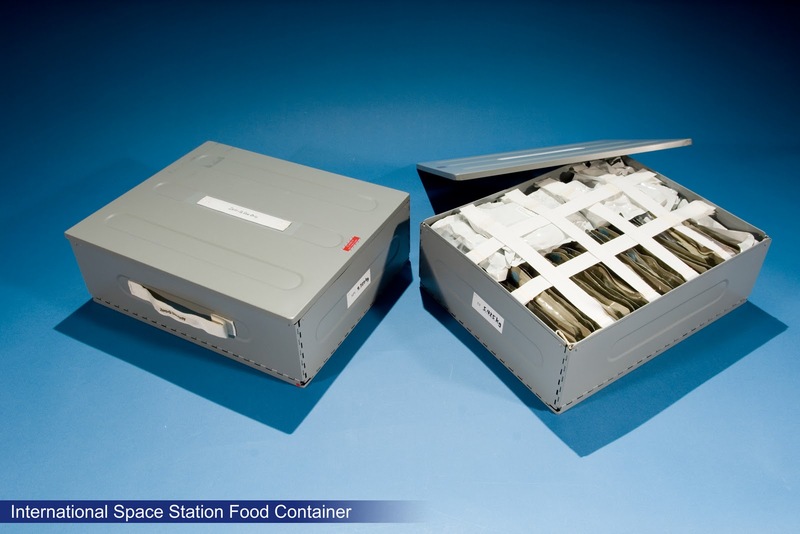 This facility designs, develops, evaluates and produces flight food, menus, packaging, and food-related ancillary hardware for Shuttle, Space Station, and Advanced Food Systems. 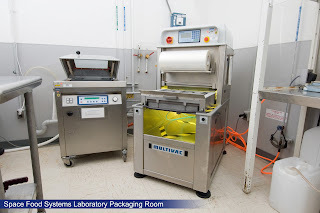 Capabilities of this facility include: food product development, food preservation technology, sensory evaluation, menu planning, freeze dehydration, blast freezing, package development, fabrication and design of packaging equipment, physical testing of packages and materials, and modified and controlled atmosphere packaging. Evidence strongly supports the role of nutrition in maintaining the health and optimal performance of astronauts during space flights and return to Earth. 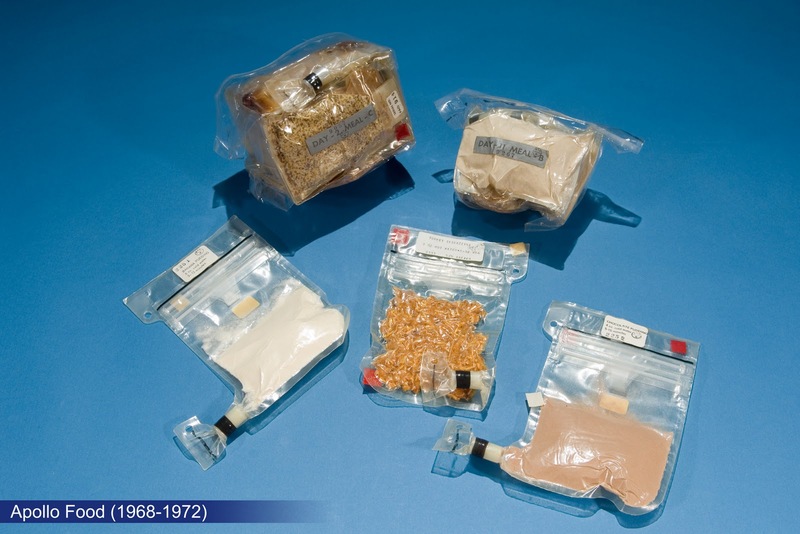 The key to providing good nutrition in support of human space flight is to provide high-quality food products that are appetizing, nutritious, and safe and easy to prepare and eat. The mission of the Space Food Systems Laboratory is to provide high-quality flight food systems that are convenient, compatible with each crew member's physiological and psychological requirements, meet spacecraft stowage and galley interface requirements, and are easy to prepare and eat in the weightlessness of space. 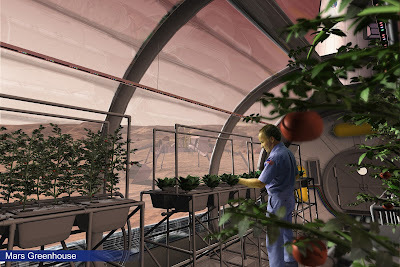 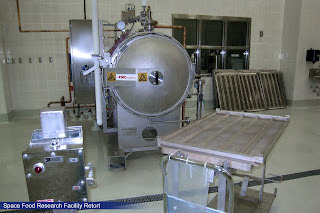 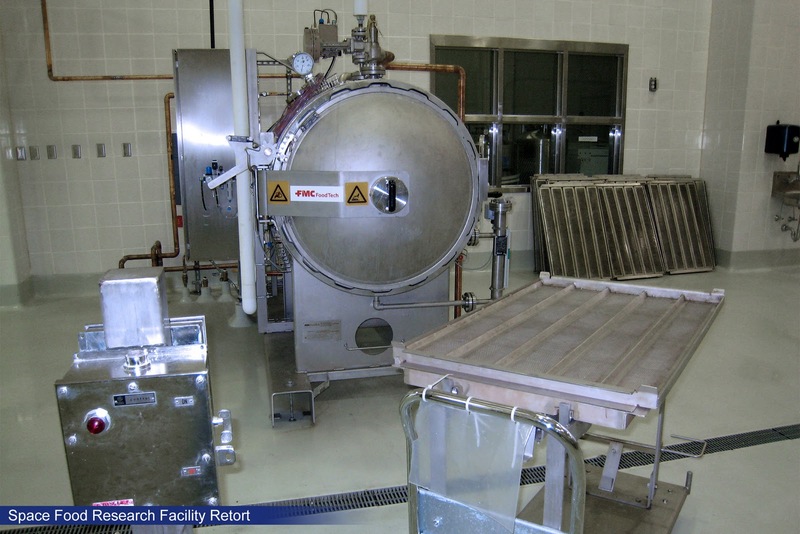 The Advanced Food Technology (AFT) project is part of the Space Human Factors and Habitability (SHFH) element of the Human Research Program (HRP). 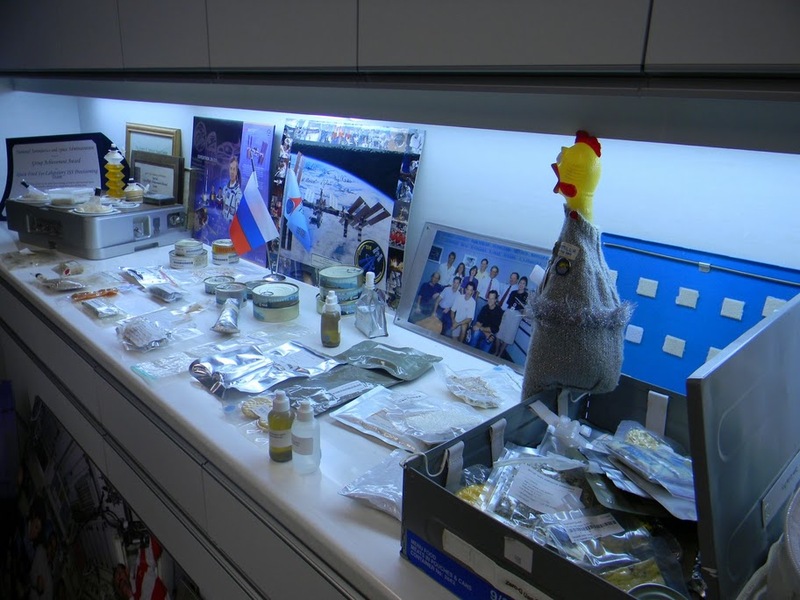 The ultimate goal of AFT is to develop and deliver technologies for human centered spacecraft that will support crews on missions to the moon, Mars, and beyond. Develop a stored food system that is nutritious, palatable and provides a sufficient variety of foods to support significant crew activities on a mission of at least 3 years duration. 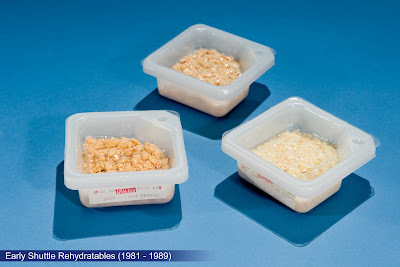 Foods should maintain safety, acceptability, and nutrition for the entire shelf life of 3 - 5 years. 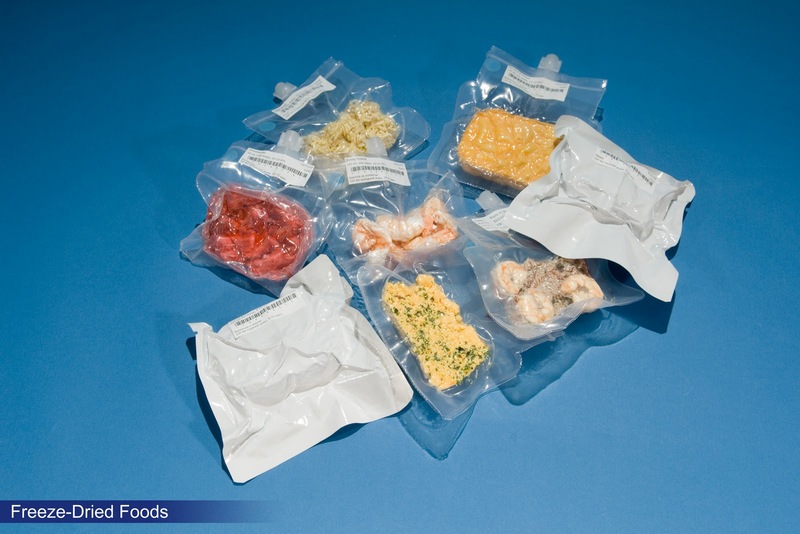 Shelf life extension may be attained through new food preservation methods and/or packaging. Develop new packaging technologies to minimize waste from packaged food. 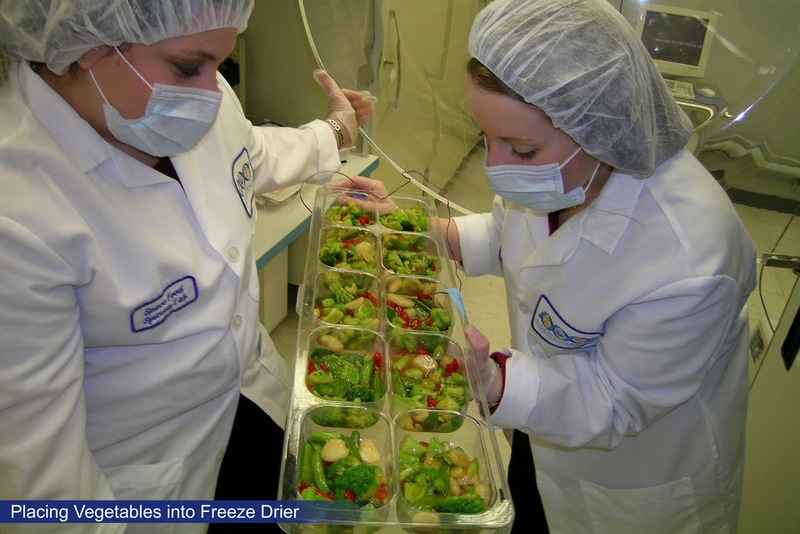 Develop handling procedures for minimally processed vegetable crops. 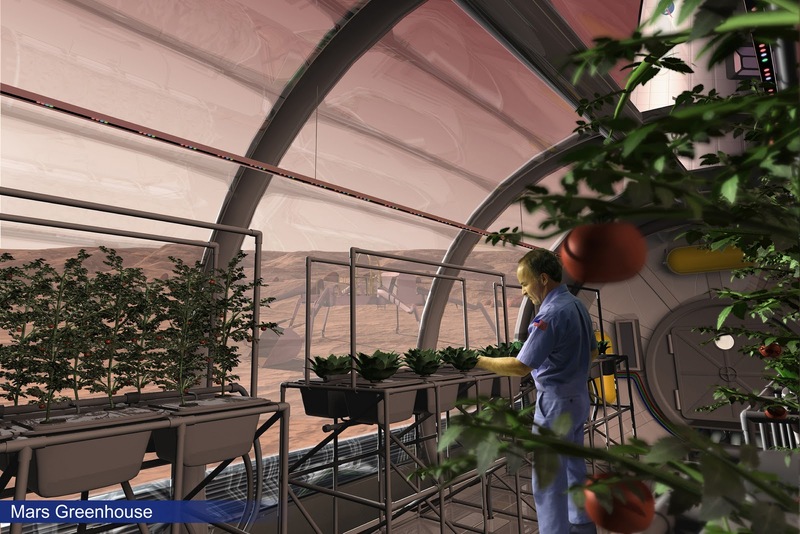 Develop equipment to process crops in reduced gravity that are highly automated, highly reliable, safe, and minimize crew time, power, water, mass, and volume. Develop recipes, galley operations, and galley equipment for extended surface missions. Shelf life testing of thermally processed foods. 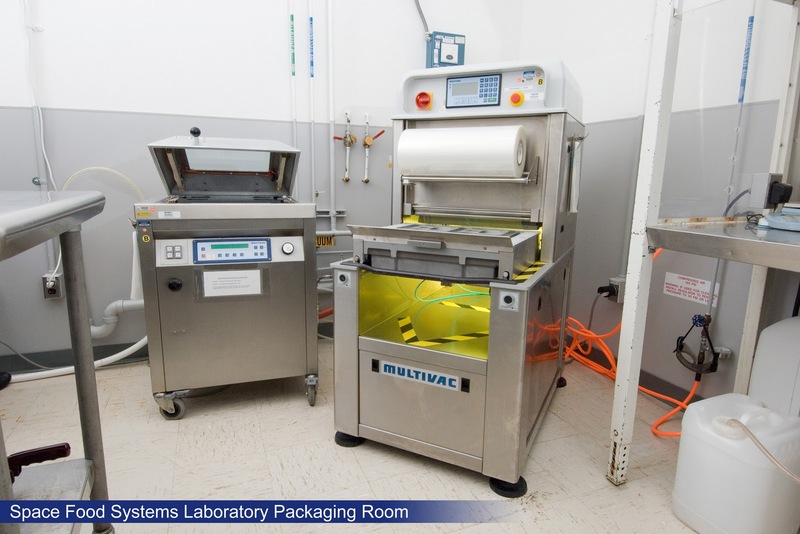 Identification and testing of packaging materials with high barrier properties and low mass and volume. Investigation of emerging preservation technologies that wil provide extended shelf life food items with improved nutrition and acceptability. 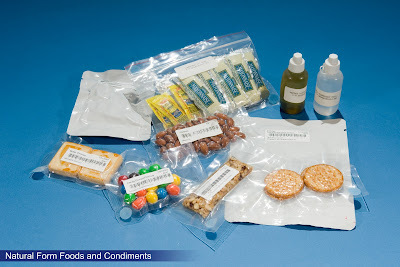 STS-124 Food Session prior to launch. 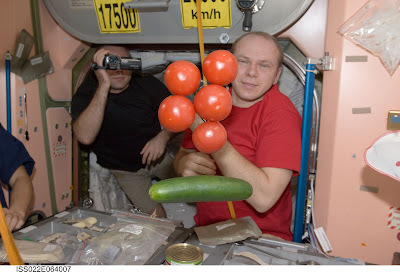 The crew of STS-130 bringing food supplies to the habitants of the ISS. 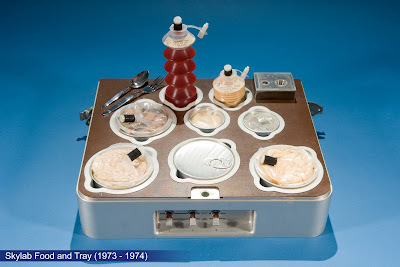 After all this food talk I am now hungry too! This blog is really nice and helpful for readers to understanding better about the Custom peptide services.